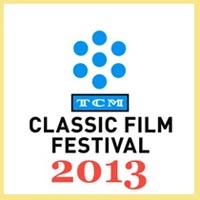 Celebrating a Classic among Classics! 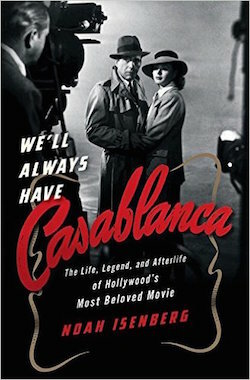 Carl S, Ellen B, Kevin P, George G, Jessica C, Jeff L, Morgan M, Israel B, Adam V, and Ana R.
In celebration of the 75th Anniversary of Casablanca’s premiere, we are thrilled to say that we’ll be giving away TEN COPIES of “We’ll Always Have Casablanca: The Life, Legend, and Afterlife of Hollywood’s Most Beloved Movie” by acclaimed author and film historian Noah Isenberg, courtesy of W. W. Norton! “I bet even the die-hardest Casablanca fan will find in this delightful book new ways to love the movie they were certain they could never love more.” —Sam Wasson, author of Fifth Avenue, 5 A.M.
That said, let the giveaway begin! In order to qualify to win one of these marvelous books via this contest giveaway, you must complete the below entry task by Saturday, March 18 at 9PM EST. However, the sooner you enter, the better chance you have of winning, because we will pick two winners on five different days within the contest period, via random drawings, as listed below… So if you don’t win the first week that you enter, you will still be eligible to win during the following weeks until the contest is over. 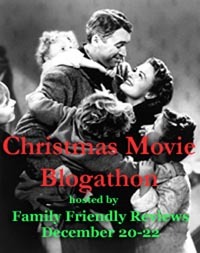 We will announce each week’s winner on Twitter @ClassicMovieHub and/or right here on this Blog in the comment section below (depending on how you entered), the day after each winner is picked at 9PM EST — for example, we will announce our first week’s winners at 9PM EST on Sunday February 19. What do you love most about Casablanca? Click here for the full contest rules and more details. About the book: The film, Casablanca, was first released in 1942, just two weeks after the city of Casablanca surrendered to American troops led by General Patton. 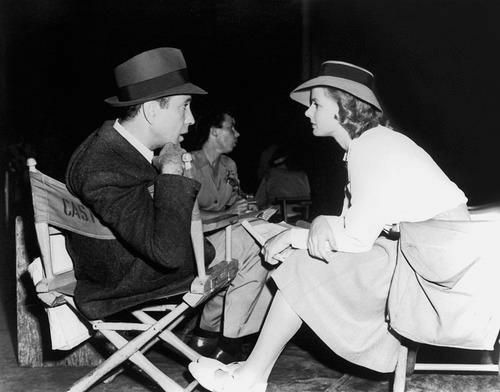 Featuring a pitch-perfect screenplay, a classic soundtrack, and unforgettable performances by Humphrey Bogart, Ingrid Bergman, and a deep supporting cast, Casablanca was hailed in the New York Times as “a picture that makes the spine tingle and the heart take a leap.” The film won Oscars for best picture, best director, and best screenplay, and would go on to enjoy more revival screenings than any other movie in history. 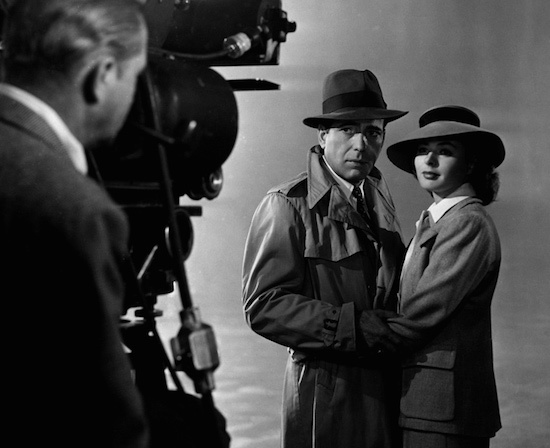 The book, We’ll Always Have Casablanca, is celebrated film historian Noah Isenberg’s rich account of this most beloved movie’s origins. Through extensive research and interviews with filmmakers, film critics, family members of the cast and crew, and diehard fans, Isenberg tells the incredible story of how Casablanca was made and why it remains the most beloved of Hollywood films. About the Author: Noah Isenberg is director of screen studies and professor of culture and media at The New School, the author of Edgar G. Ulmer: A Filmmaker at the Margins and editor of Weimar Cinema, and the recipient of an NEH Public Scholar Award. He lives in Brooklyn, New York. 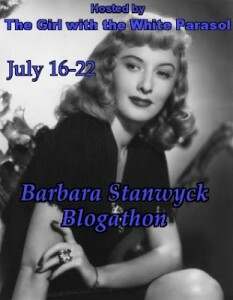 This entry was posted in Books, Contests & Giveaways, Posts by Annmarie Gatti and tagged casablanca, We'll Always Have Casablanca. Bookmark the permalink. The second is the sparkling dialogue. Never have a seen a film with so many classic lines. Too many to list here. 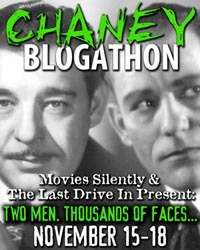 Third is Claude Rains’ performance. Criminal the man didn’t win an Oscar, especially for his work here. The thing I love most about Casablanca, is the way that it allows us to emphasize with the characters. We feel for them. Even the one’s who don’t want us to, the one’s who stick their neck out for nobody 😉 Casablanca is both an escape and a purgatory for those stuck in it. The movie allows us to be there with them. It never ceases to make me laugh and cry. Hi Christina, please don’t forget to tweet the message, or let me know here if you don’t have a twitter account. Thanks! My favorite part of Casablanca is that they okay “Perfidia” in the flash-back scene, making it appear that Ilsa can’t be trusted. After watching the movie, you have to wonder if that’s Rick’s memory we’re seeing, and whether later events colored it. The thing I love most about Casablanca is the Patriotism of it that is felt by the characters and that inspires them to do great things. It really is a great film, one of the best of all time. My favorite aspect is the wonderful blend of characters in the script. The way Rick, Sam, Ilsa, Victor, Capt. Renaud, Ugarte, Ferari and Major Strasser play off each other is really engaging and so wonderfully believable. Everyone involved in the film did a great job but I’d give extra credit to the brilliant screenwriters. I love Casablanca because it never set out to be a hit- it just sort of became a hit- yet everything about the film is still perfect; and that’s just amazing! The cast, the iconic moments, the romance- it just intrigues you and there’s something for everyone. Calling it “an essential” doesn’t even begin to describe the importance of this film- its something everyone should see in their lifetime- no exceptions. I’ve watched this treasure of a film several times over the years and after many a viewing I can say that the best part of Casablanca is definitely the characters. And for me the best character in the movie is Captain Louis Renault, magnificently portrayed by the great Claude Rains. Rains takes this character in different directions throughout the movie. We all know that the Captain is a sleaze, but he is so unrepentant and cool about it that we can’t help to bond with Monsieur Louis Renault. Rains was truly at the top of his acting game. Enen though Ilsa had broken Ricks heart he was a big enough man to do the right thing. I do not have a Twitter account, so I’m posting here but cannot twitt to post the message. What do I love most about Casablanca? I love that the first time I watched Casablanca with my husband I discovered that we both knew all the dialogue and get misty at the same points. Just looks good and has a perfect rhythm. i first saw casablanca during my film studies in college, and for some reason i didnt understand why film criticts loved this movie so much. after watching it over and over again, i understood why this movie is such a classic. you can quote nearly 50% of the movie or start singing As Time Goes By! everything about casablanca is just classic. every mintue of it just makes you want to watch more. What I love about Casablanca is how immortal it becomes with every viewing. The more you see it, the more relevant it manages to get. Each of the characters have complexities that make you sympathize with their plights. It’s just a film that definitely that continues to stand the test of time. (I do not have a Twitter account, so I am posting here to enter, but cannot tweet the message). I find it difficult to express what I love most about “Casablanca”. I think the only thing I can say is that a lot of people, both men and women, can relate to Rick. What I love most about Casablanca is how it so expertly blends genre. You cannot place it in a film noir box or romance box or comedy box or war movie box. It is all of those and none of those. By refusing to be categorized, it gives us the best aspects of all types of film. other could find happiness even though it wouldn’t be with eachother. aside from everything else it is. Hi Mitchell, I can’t seem to find you tweet… could you please confirm that you tweeted or let me know here if you don’t have a twitter account. Thanks! What I love about Casablanca is that it’s timeless. Nothing about it has ever truly aged or become dated. That’s what makes it a classic. The story of love, war and what truly matters is just as potent today as it was all those years ago. I’ve seen it dozens of time and it’s never failed to move me. You can see the influence it’s had on film throughout the years, for example, the final scene in La La Land, one of this years big Oscar contenders, is clearly inspired by Casablanca. It’s a timeless tale with heart and soul that touches everyone who sees it. 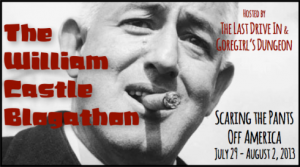 The first time I’d ever considered Bogart as a leading man. Wow, he slayed it and no matter how he believed Ingrid had betrayed him, he still loved her in the end. I love his and Louis’ friendship. Great pair. Great movie! Hi Rhonda, I don’t see your tweet, could you please confirm that you tweeted, or let me know here that you don’t have a twitter account. Thanks! What I love most about Casablanca is that it’s an impossible situation. The city, the political situation, and the forbidden romance serve as a backdrop for what I think is one of the underlying themes and that is letting go. Although Rick and Ilsa do not end up together, I feel that Rick completed a selfless act in releasing her in order to live her life. Sadly their story was meant to be frozen in time not a happily ever after. What I love most about Casablanca is that it’s an impossible situation. The city, political situation, and forbidden romance serve as a backdrop for what I think is one of the underlying themes of the film in that is letting go. Although Rick and Ilsa do not end up together, I feel that Rick completed a selfless act in releasing her in order to live her life. Their love was meant to be frozen in time not a happily ever after. Love when Rick helps newlywed couple out of jam. It was a long time ago when I saw the film and so the heart-wrenching goodbye scene is the only one burned in my memory. That said, I ‘love’ to watch all the director’s cuts and comments on any movie. It’s like a whole nother show! A book would be the same effect. And naturally I would rewatch the film to experience the total surround of that political time. I do remember everything being intense. Oops I missed the first drawing, but as Jim Carrie says in Dumb and Dumber when told he only has a “one in a million chance” to win her over, then with relief says “there’s a chance. Yeah!”! I do not have a Twitter account, so I am posting here to enter but cannot tweet the message. Still 8 more books to giveaway, so there’s still a pretty good chance you could win (as you well know 🙂 Thanks so much for entering, and all of your support. Good Luck! A couple of years ago I noticed its brisk pace. It really moves along at a nice clip, nothing out of place and, no extraneous information. I think that’s one of the main reasons that it is a perfect film. 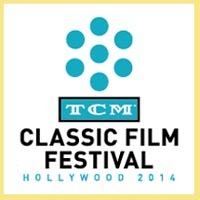 That and Humphrey Bogart, Ingrid Bergman, Paul Henreid, Michael Curtis, etc, etc, etc. Such a wonderful film isn’t it! (understatement) Thanks so much for entering Jeff, hope all is well 🙂 and Good Luck! The look on Rick’s face when he walks briskly over to Sam’s piano; mad as hell at Sam for playing As Time Goes By then sees Ilsa sitting there. What I love most about Casablanca is the way love is expressed in so many ways: the young lady offering to do anything for her husband, Ilsa willing to risk her marriage to save her husband, Rick going against his principles to help Ilsa and her husband, and everyone in the bar proudly singing La Marseillaise in spite of the German military presence. That’s like asking which of my children I love the most. Well, not really, since I only have one kid, but still! The greatest thing about the film is probably the theme of self-sacrifice for the greater good. That idea seems less popular than ever nowadays. Bogart’s dry humour, Bergman’s beauty, the film is just wonderful. Hi, I can’t seem to find your tweet. Could you please confirm that you tweeted, or let me know here if you don’t have a twitter account. Thanks! The movie takes you back to a different time which is really needed with everything that is happening these days. I do not have a twitter account, so I am posting here to enter but cannot tweet the message. Thank you. For me, my favourite thing about CASABLANCA is how it balances everything – it’s like the perfect mix, it has something for everyone. It has drama and romance and action and intrigue and Nazis and rebellion/freedom fighters and likable rogues and crooked cops who aren’t horrible and evil Nazis that make everyone else look angelic. What do I love about CASABLANCA? There isn’t enough room here to tell it all. The story of an idealist who has become jaded and finds redemption. The story of love lost and found again and sacrificed for the greater cause of fighting evil. The dialog, the sets, the music, the acting, the characters, the cinemaography, the story, the directing. The atmosphere! How many lines that are now a part of our culture originated in CASABLANCA? “Everyone comes to Rick’s”, “Play it again, Sam” (although Bogart never said it), “Of all the gin joints, in all the towns, in all the world, she walks into mine”, “Here’s looking at you, kid.”, “We’ll always have Paris.”, “Round up the usual suspects”, “This is the beginning of a beautiful friendship”, or, my personal favorite, “I’m shocked, shocked to find that gambling is going on in here!”. The way the story develops the characters, the pace, the emotional tension. I was an adult and had seen it countless times before I sat and really analysed the film, realizing that the action takes place just in the span of a couple of days. The cast is classic and perhaps the best casting ever. 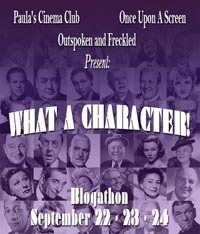 Bogart as Rick Blaine, the jaded American ex-patriot “Well there are certain sections of New York, Major, that I wouldn’t advise you to try to invade.”, Dooley Wilson as Sam, the piano player (Wilson actually did not play piano) and Rick’s longtime friend, Ingrid Bergman as Ilsa, Rick’s lost love, Paul Henreid (von Hernreid-he fled Nazi Germany) as Ilsa’s husband whom the Nazis want to kill, the great Claude Rains as Inspector Renault the corrupt official who has a well hidden heart of gold, Conrad Veidt as the personification of the Prussian Nazi officer and all the wonderful supporting characters: Sidney Greenstreet, Peter Lorre, S.Z. Sackall, Leonid Kinskey and so many others. Not to mention Michael Curtiz wonderful direction. And to think that when they started shooting they didn’t have a finished script! Perhaps that is one of the reasons the characters have a constant tension, the actors didn’t know how it was going to end. No wonder AFI ranks CASABLANCA as the greatest film of all time. I’ve often longed to visit the city of Casablanca but know that the way it exists in my imagination would leave me disappointed by today’s reality. I want to find Rick’s, to play cards in the back room, to hear Sam at the piano and have Carl bring drinks to our table. Maybe someday, after all, “Everyone comes to Rick’s”. Hi Oren, really nice comment! But I don’t see your tweet yet. Please confirm that you tweeted or let me know here if you don’t have a twitter account. Thanks! Hi Annmarie, no, I don’t tweet. As several people have mentioned above, it’s hard to narrow it down to one thing about Casablanca. One of my favorites is the dialogue, and that’s almost inseparable from the acting and the characters. I guess that’s why it’s a classic. Every time I watch Casablanca I see something new to love. There is many scenes that have become like old friends to me, comforting me when I am blue, giving me hope when I feel hopeless. 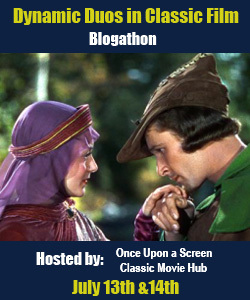 The theme of the reluctant hero is a favorite of mine and Bogey plays that part so well. The scene that always gets to me is the singing of La Marseillaise. Always makes me tear up. Always. I have not heard of another movie with so many quotes (some not even real) that remains in the minds of all movie goers and just about anyone you ask will be able to remember the movie by looking at the still of Bogart and Bergman. I love this movie. It’s the ultimate classic! In my opinion the things that make the movie so good is the friendships of Sam and Rick and Captain Renault and Rick, the torrid love affair between Rick and Ilsa, and the persistence of all the characters. Great film and one of Bogies best! Other than it being the best war film ever (without a battle scene even!) the one thing that makes me love Casablanca is… Ingrid Bergman. Bogart. What more do you need?! Did somebody mention Rick’s dry humor? *How did you get in here? You’re under age. I came with Captain Renault. My husband is with me, too. *He is? Well, Captain Renault’s getting broadminded. The question remains: What’s not to love about Casablanca? There are so many great movies with Humphrey as a lead actor but somehow we are all drawn back to that one movie. It’s one of those timeless pictures I can watch once in a while and I am definitely not bored. Every time I notice something else, different, and more. It could be just the way somebody said a particular line, a face expression, or the way the scene was prepared. Ingrid Bergmann was never a huge favourite of mine but the performance she gave was inspiring. Sometimes I wish this picture was 3h long! I’m sure they cut put way more “action” into it, who knows, perhaps they did and a lot of scenes were cut out. 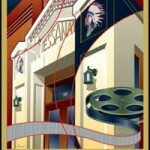 Despite that Casablance became the icon. It must be magic, I’m neither a professional critic nor a student of HG or IB lives but one thing I remember is that people make stars, audience makes a picture a flop or not. In this case this magic spoke to people and we fell in love with it.. Probably the cinematography, of all things. You gotta love the way old-school, black and white films were shot. The acting’s pretty fantastic too. What do I love about Casablanca? I’m a hopeless romantic, so I love the love triangle between Ilsa, Rick, and Victor. The first time I saw the movie, I was disappointed that Rick did not end up with Ilsa on the plane. But now I see that it’s for the best — Rick could not possibly do anything different than putting Ilsa on that plane with Victor. I will tweet the message shortly. What I love most about this movie are the actors who played these most interesting characters – Humphrey Bogart, Ingrid Bergman, Claude Rains, and Paul Henreid. I love each of their relationships with each other. And it is such a quotable movie. I can watch this movie every time it’s on. What I love about Casablanca is the absolute purity of the film. Posting on behalf of Dan M: Rick’s smartass attitude! Like other film noir classics of the time, I love the cinematography…most especially the use of the shadows. Bogart and Bergman were electrifying on screen.A shame that, they only made Casablanca togrther.Claude Rains have an amazing performance.Paul Henreid was dashing as Victor Lazlo.And who could forget the Immortal Song, As Time goes By. We’ll Always Have Paris~ I love the heart of this film. 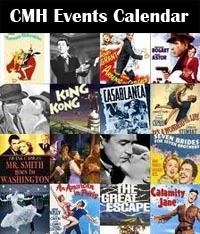 CASABLANCA (1942) is a film you can see over & over and see something different each time. It has held up the test of time in 75 years. Amazing characters. Emotions are heightened with wartime nostalgia. It’s a classic! I love knowing that it was a movie created from no real master plan. I find something new that I didn’t notice each time I see it knowing that it was the imperfect production that has become the perfect film. Hi Mary, I don’t see your tweet. Could you please confirm that you tweeted or let us know here if you don’t have a twitter account. Thanks! I love the amazing cast, the story, and and the classic romance of it all. 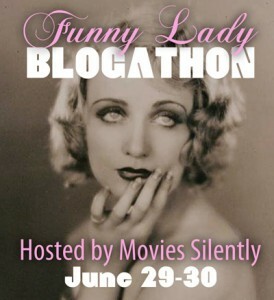 Casablanca is one of my all-time faves!!! I love Casablanca for more reasons then I can write down. The cast, the noir, the actual feeling that radiates from these two on screen. The way that piano stays with you long after yluve finished watching. There isn’t anything I don’t love about this movie. Of all the movies this is my favorite, and at its core, a love story. The thing I love most about “Casablanca” is that Sam is treated as more than just a one-dimensional, stereotypical African American. Unlike most depictions of black characters in mid-century movies, Sam is shown as a kind of partner to Rick (certainly emotionally) and even to Ilsa. To me, Dooley Wilson is a too-often-overlooked figure in the history of African American actors. 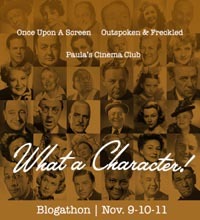 The terrific ensemble cast. As a huge Maltese Falcon fan I can’t get enough of Bogart, Lorre, and Greenstreet. Thank goodness they worked together again and again. 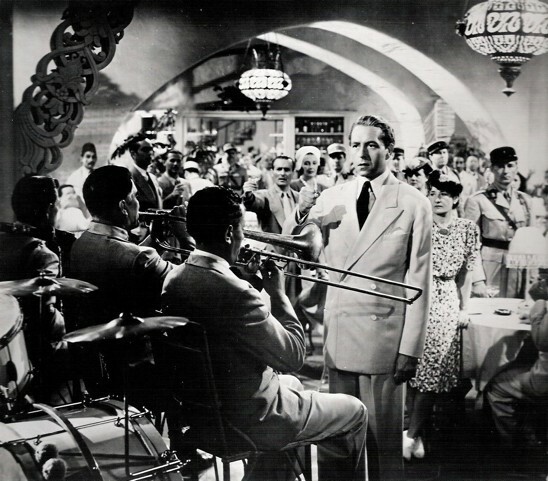 What I love most about Casablanca is the performances, particularly from Bogart, Bergman, and Rains. Just incredible! The rich characters are my favorite part of Casablanca. No role is wasted, no line thrown away. It’s all a bittersweet & beautiful machine of storytelling. What I love most about Casablanca is that it was a movie my dad and I bonded over. We both loved the acting and what my Dad called the “big scene”, where the songs are exchanged and Rick’s is shut down by Strasser. They may always have Paris, but I’ll always have the memory of watching Casablanca with my dad. What I love most about Casablanca is that every time I watch it, I find something new that I never noticed before. 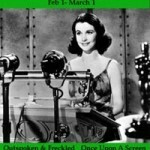 It’s a 75 year old movie that never gets old. I don’t have twitter and haven’t received a notification so I didn’t am guessing I didn’t win. That’s OK, I’d have enjoyed winning a copy of the book but what’s more important is this contest has had me thinking about CASABLANCA and watching it again. Last Friday I had some time alone and was able to watch about the first half of the movie. Taking time to study the background, look at the ‘extras’ in various scenes as well as the sets. There is such amazing detail in the movie. I find myself wondering who all of these people were. Not the actors, the characters who were there to fill but were not followed. What eventually happened to the English couple who we see in the opening scenes asking about the arrests and the husband has his wallet stolen? Who were and what happened to the ‘usual suspects’ who were rounded up? How many of them were charged with something and how many were released? What happened to the Norwegian, Berger, who was Victor’s contact with the underground? What happened to the members of the underground who were arrested when the meeting was raided? The older German couple who were leaving on the Lisbon plane (What watch? Nine watch.) The young couple who won a roulette and were going to meet Captain Renault the next morning to get papers to leave Casablanca. Where did they go after reaching Lisbon? More importantly (or centrally) did Victor and Ilsa stay in Lisbon or did they move on to England or America? Did Rick and Renault make it to Bretheville (sp), how long did they stay, did they become involved with the Resistance? I know there was a book written as a follow up but I have refused to read it preferring my own ‘stories’ for the characters. I picture Victor and Ilsa journeying on to England and becoming involved with the SOE and OSS. Victor would have been too well known to return to occupied Europe so he would have worked there in either propaganda or interpreting reports. Ilsa could have been dropped into occupied France to be an agent against the Axis. I see Rick and Renault becoming involved with the Resistance and after Operation Torch they join the military. Rick, for the same reasons he can not return to the US, joins the US under an assumed name and becomes a tank sgt who leads his men across the desert (SAHARA). Victor is killed in the London Blitz, Ilsa is captured by the Germans but survives the concentration camp. Louie Renault is an officer in the French Army under DeGalle, Rick is sent back to England. While in England Rick and Louie encounter each other and continue their friendship even though Louie is now an officer. While in England, Rick runs into Victor, learns that Ilsa is with the SOE. Ilsa is captured and reported executed, Victor shares the sad news with Rick. Later he learns Victor is killed in a bombing. Louie and Rick take part in the Normandy invasion and the liberation of Europe. Rick’s unit liberates the camp where Ilsa is a prisoner and she recognizes him. They are reunited. Ilsa is taken to a hospital where she recovers. Rick continues in combat is wounded and recognized for his heroism. While in hospital his true identity is discovered and he is charged for entering the army under a false identity. His commanders step in and due to his service record charges are dropped and he reenlists under his real name. When the war ends he reunites with Ilsa in Paris. Louie, by now a colonel in the French Army, decides to return to Casablanca where he has been asked to take over as Prefect of Police.